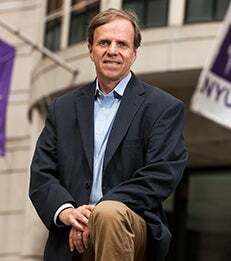 In an address at the University of Michigan on Friday, Michael Posner, co-director of the NYU Stern Center for Business and Human Rights, called for American colleges and universities to adopt uniform human rights standards relating to three aspects of their business operations – product licensing, procurement of goods and services and with respect to their investments. “From the food served in the dining hall to construction of new buildings and facilities, to the paper in office printers, the scope of university purchasing is tremendous,” said Posner. “Each year, American colleges and universities spend hundreds of billions of dollars on commercial contracts for goods and services. Posner also examined the enormous economic power of university endowments, and urged universities to use their collective leverage in the investment realm to promote human rights. “[University of] Michigan’s endowment is $8.7 billion dollars, making it the eighth largest university endowment in the country,” said Posner. “[The] combined endowments of American and Canadian universities now exceed $450 billion. Viewed from the perspective of the overall U.S. economy, with assets of over $200 trillion dollars, university endowments are modest. But, if major universities came together to develop collective investment strategies aimed at advancing human rights, there is little doubt that they could have an impact. Posner spoke at a conference convened by the University of Michigan’s Advisory Committee on Labor Standards and Human Rights, He recognized that progress has been made in the area of licensing as universities engage groups like the Fair Labor Association and the Worker’s Rights Consortium to provide oversight of the brands that produce licensed products. “An important premise of both of these efforts is the recognition that no one company – or university – can solve challenging labor rights issues alone. Companies need to work together, even with their fiercest competitors, when it comes to human rights. Please see the Center for Business and Human Rights website for the full text of Professor Posner’s remarks.